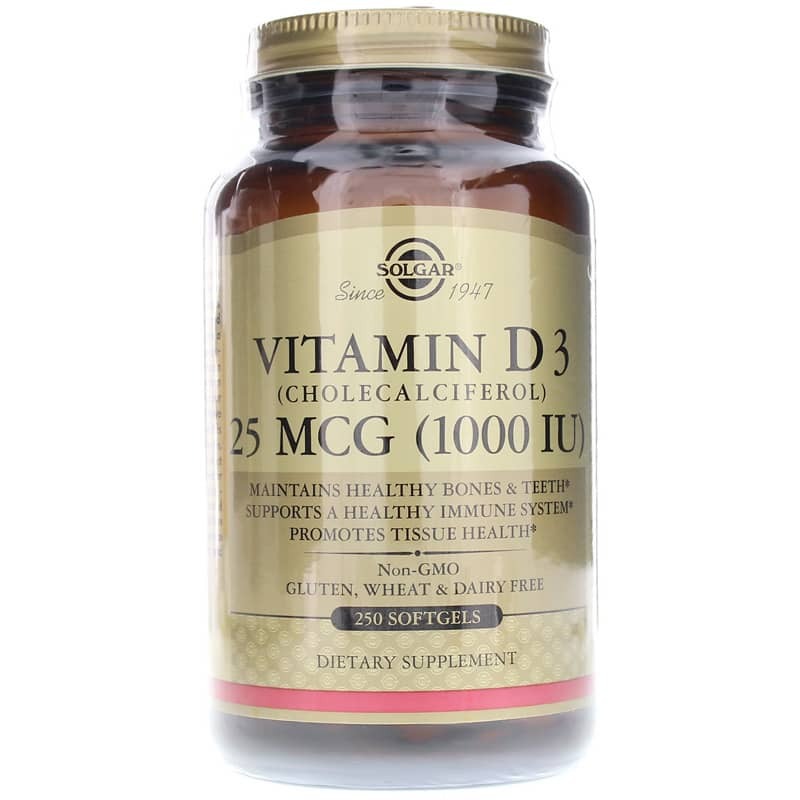 Vitamin D3 (Cholecalciferol) 25 Mcg (1000 IU) from Solgar Vitamin D contains oil from select deep-sea, cold-water fish liver. The Vitamin D3 in this product is the same form produced by the body when our skin is exposed to sunlight. The fish oil has been molecularly distilled to remove harmful contaminants. Vitamin D is a fat-soluble vitamin that is required to promote calcium absorption, which helps to maintain healthy bones and teeth. 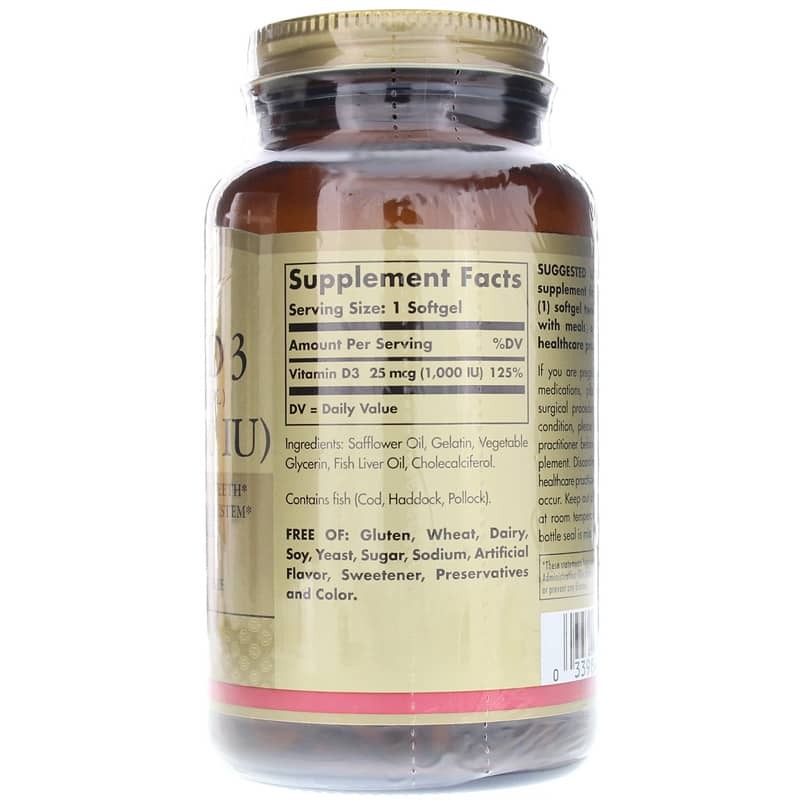 * Vitamin D also supports a healthy immune system and neuromuscular function. 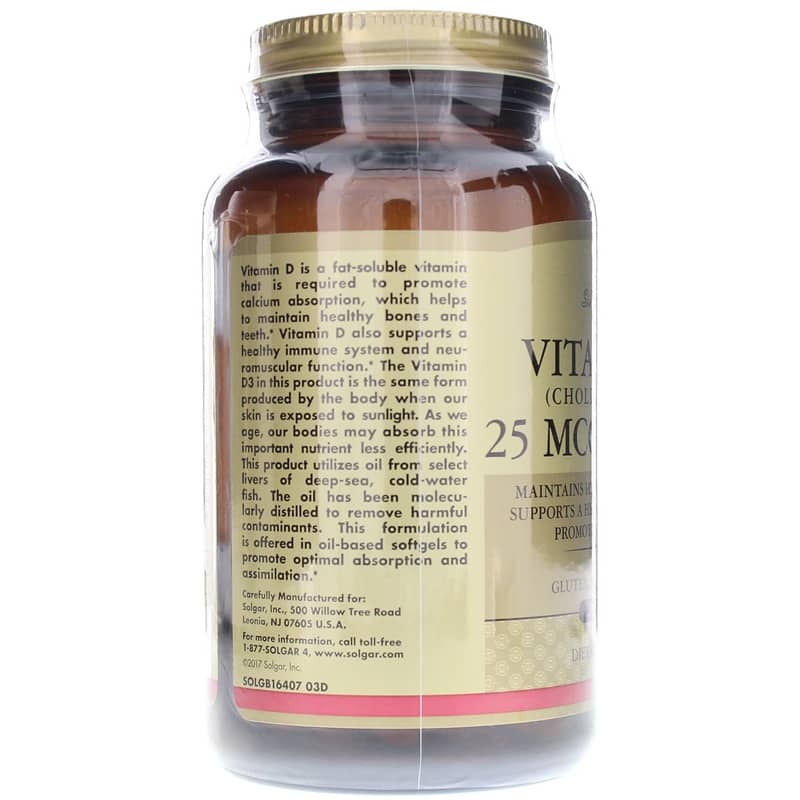 * As we age, our bodies may absorb vitamin D3 less efficiently. 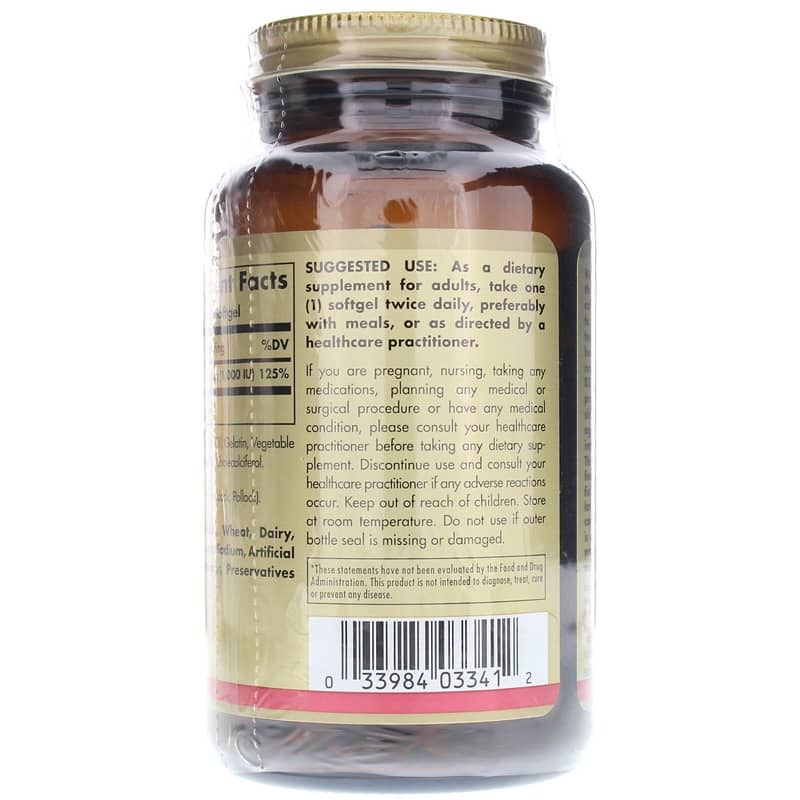 Ingredients: safflower oil, gelatin, vegetable glycerin, fish liver oil, cholecalciferol. Contains fish (Cod, Haddock, Pollock). Contains NO: gluten, wheat, dairy, soy, yeast, sugar, sodium, artificial flavor, sweetener, preservatives and color. Adults: As a dietary supplement for adults, take one (1) softgel, twice daily, preferably with a meal, or as directed by a healthcare practitioner. If you are pregnant, nursing, taking any medications, planning any medical procedure or have any medical condition, please consult your healthcare practitioner before taking any dietary supplement. Discontinue use and consult your healthcare practitioner if any adverse reactions occur. Keep out of the reach of children. I'm really happy with the Vitamin D3. The product and the service from Natural Healthy Concepts is awesome! I do get very good results from Solgar D3, which I have taken for years. Also, I do notice less well-being when I stop taking them.